"I am the one who invites you to play." 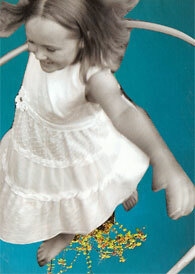 SoulCollage® is a fun and engaging creative process that taps into your imagination and intuition. You may wonder how to better understand yourself, your relationships with others, or your spiritual journey. SoulCollage® helps uncover your personal muses and invites them to speak up! Part of the SoulCollage® process is about creating your own cards. All the materials you need are provided for you to create just the right card for you. The card evokes for you something that is powerful and timely in your own journey. The other part of the SoulCollage® process is about having the card "speak" to you. This powerful process can be done individually or as part of a group. Cards can be created and "read" to create rituals, process passages, celebrate events, or honor transitions. This coming together of spirituality, psychology, and creativity tap into internal messages that shed light and provide clarity on your journey to well being.